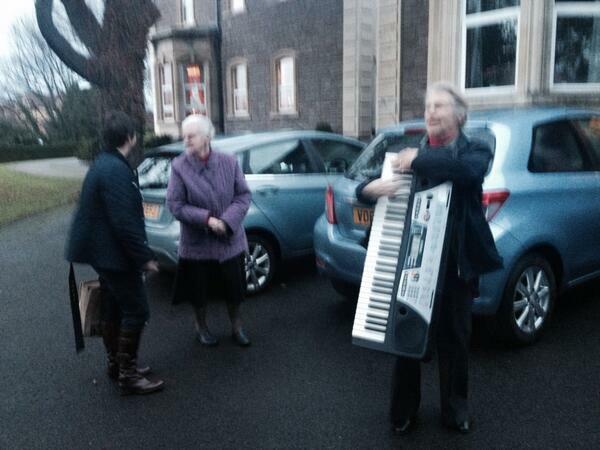 Plans are well advanced for a number of events here at St Mary’s Priory in 2014. We will join the nation in marking the Centenary of World War I with a memorial service and parade in the Summer and at Remembranctide (Saturday 8th November 2014) we will host a performance of Karl Jenkins’ The Armed Man by Gwent Bach Choir. Also being marked next year on June 7th is the 70th Anniversary of D Day. We will join with the Abergavenny Town Band for a day of celebrations in the Priory and Tithe Barn Courtyards. The previous weekend (Saturday, May 31st) we will again hold a Mediaeval Family Day. 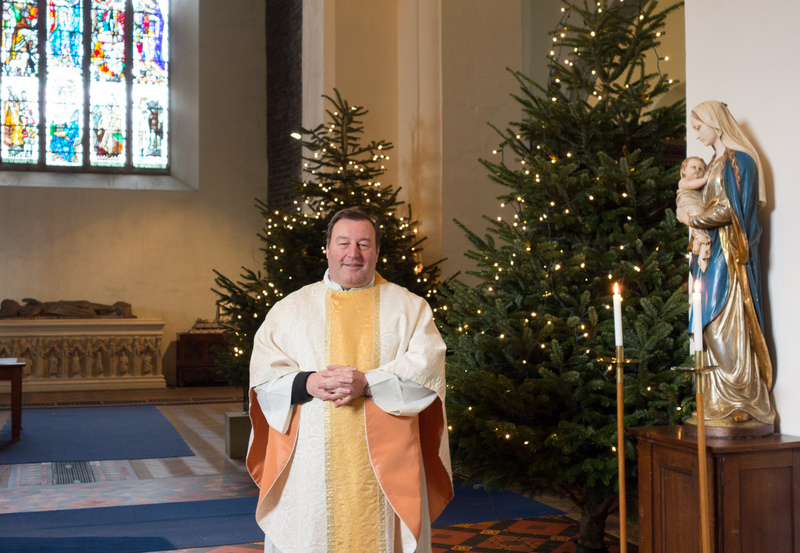 We will of course mark the church’s year with the usual services and ceremonies. Gwent Bach Choir will sing Bach’s St John’s Passion on the Eve of Palm Sunday (April 12th). Our Lent Sunday Evenings Sermons this year are entitled “Faith in the work place”, following on from our series two years when sector Chaplains spoke about their work, this years will look at from the point of view of the laity- and how they show their faith in their work place. 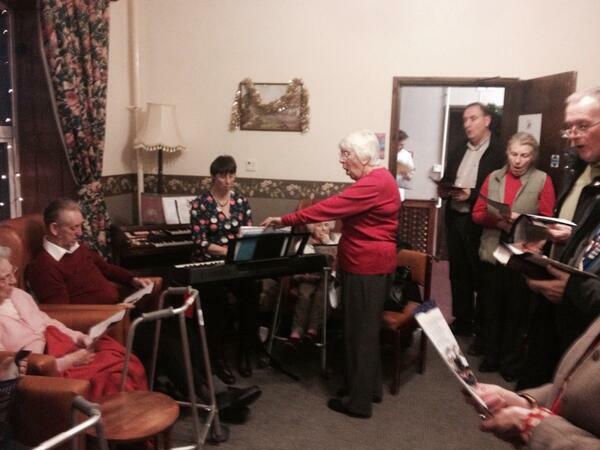 The Unicorn Singers will mark St Davids Day with a service for “All the Saints”. 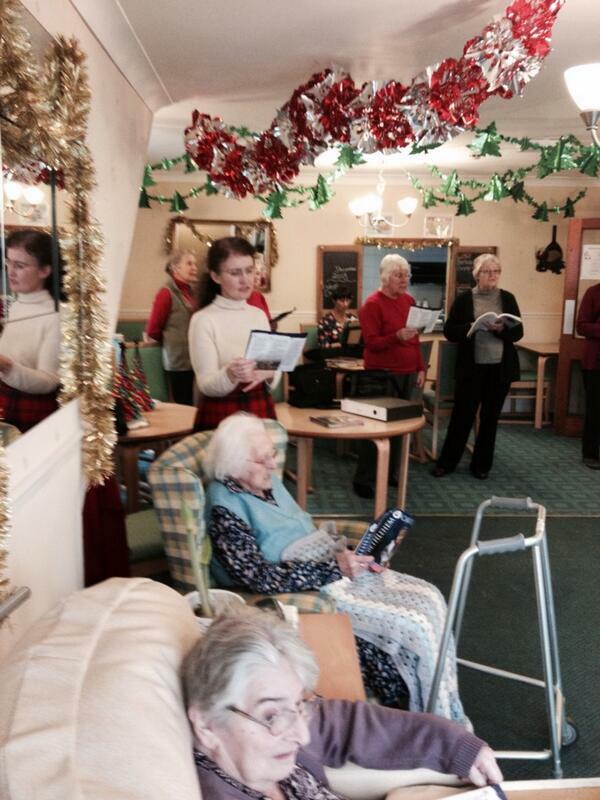 The Priory Choir are on their Christmas break on December 29th. Christmas is many people’s favourite season because at its heart it has a little baby. Christmas is a season of pretty things of all kinds, from bobbles on Christmas Trees, to full shop windows or Christmas lights. 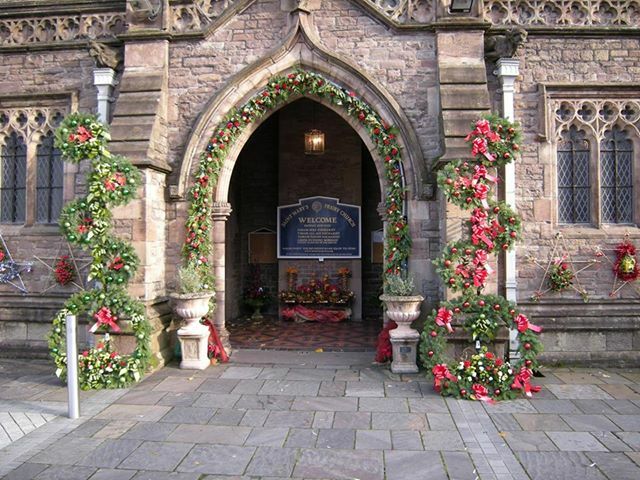 This year at St Mary’s Priory we had the church wonderfully decorated in flowers depicting the whole story from Gabriel’s announcement of Jesus birth through to his Presentation in the Temple. 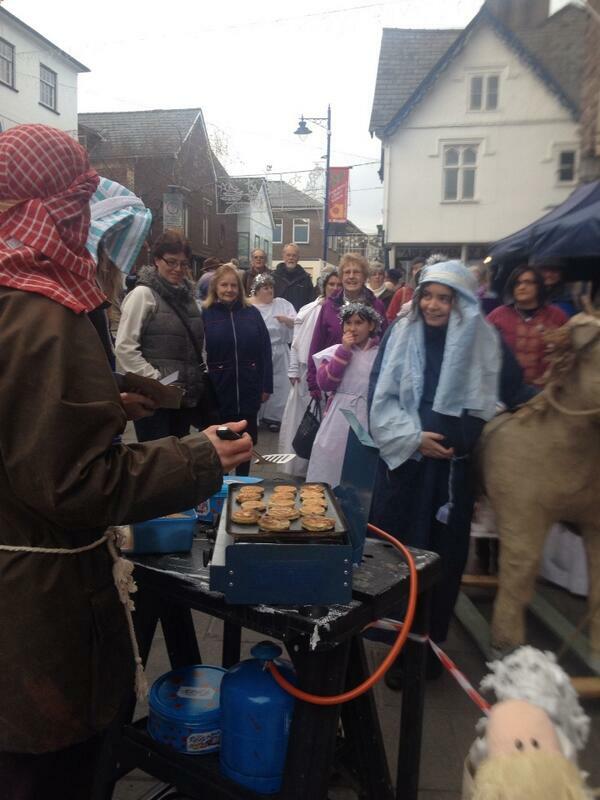 Yet the reality of that first Christmas was very different , it was messy, very messy. Mary and Joseph were just an ordinary couple living in a small village in Galilee, suddenly their lives were thrown in to disruption be the announcement that Mary was expecting a baby out of wedlock;and that she had to travel, in her pregnant state, for two days on the back of a donkey so they could complete the census ordered by their Roman masters. When things seemed as if they could not get any worse, they did. 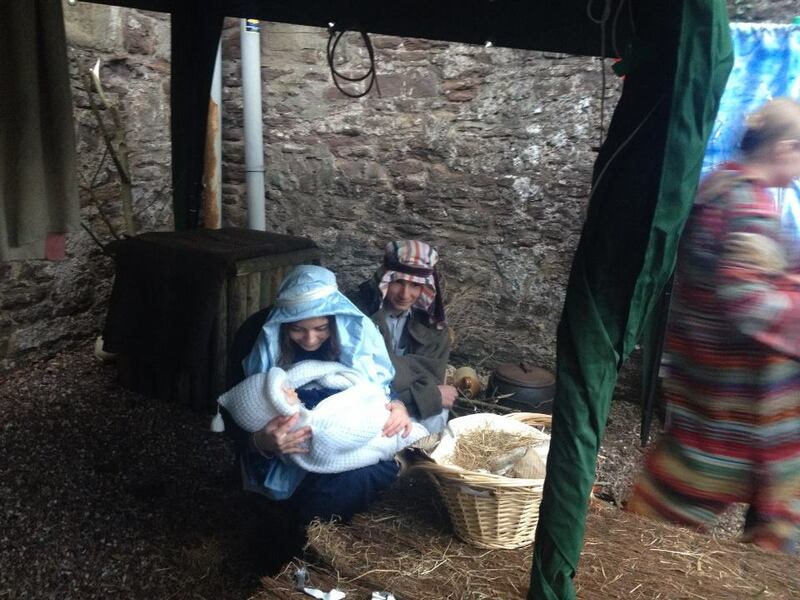 Being unable to find any where to stay in Bethlehem she had to give birth in the dark and damp conditions of an animal shed. So here in this story, if we dig down deep enough, we will find discrimination, homelessness, pain and oppression. Jesus choose to come as one of us – and that included all the complications of human life. For many this Christmas will be one of sadness. Some others will have spent money they have not got, because of peer pressure, to be part of the pretty things of Christmas. We must remember them, and remember that Jesus Christ, whose birthday we celebrate came so that we all would have LOVE and have it in abundance. 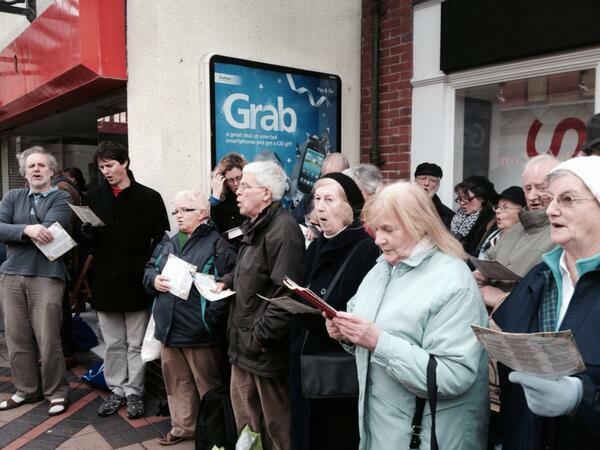 Saturday, December 21st singing in Cibi Walk with other churches of the town. 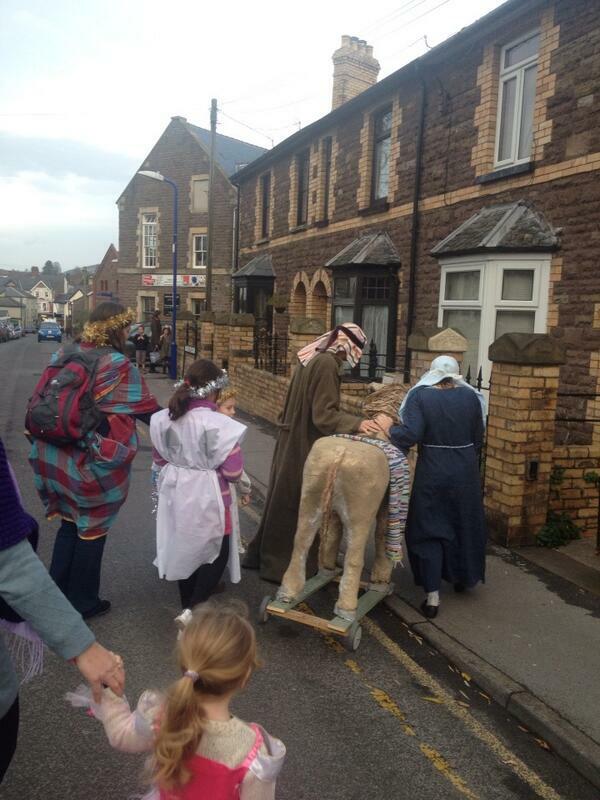 A dramatic interpretation of the Christmas story moving through the town centre from Holy Trinity to St Mary’s Priory. 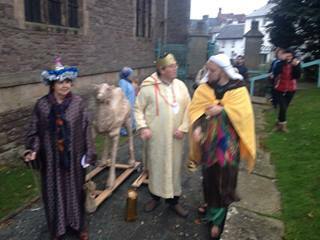 We start at Holy Trinity at 3pm with kings, camels and a special baby. 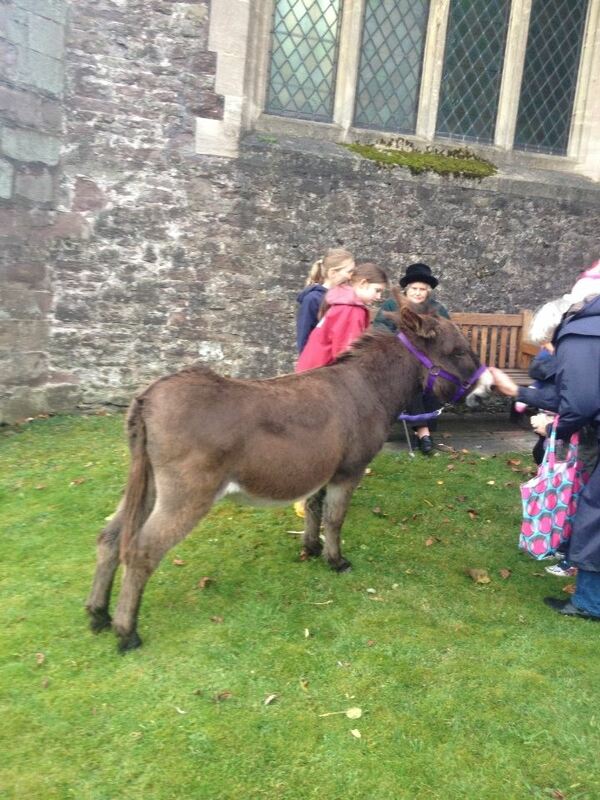 In the Abbott’s Garden at St mary’s there will be a life size crib with live animals .Young and old are all welcome to join us. 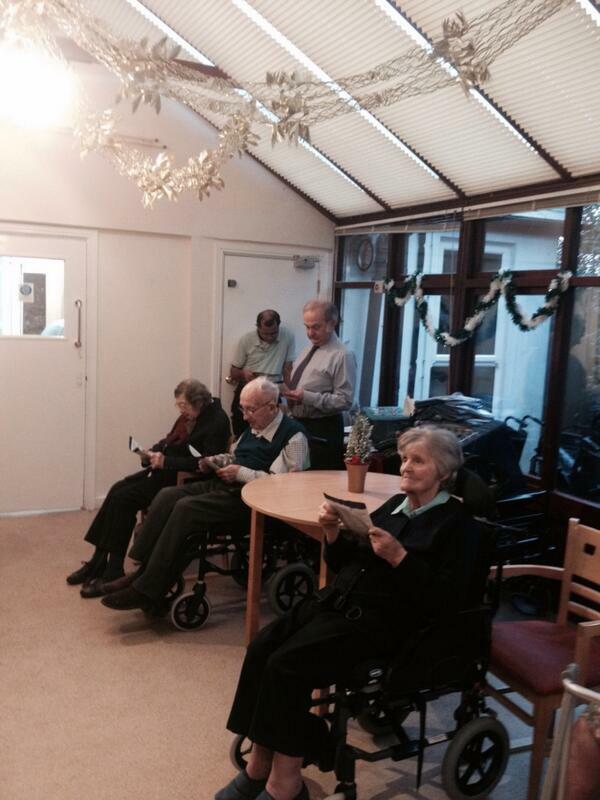 Carols and songs will be sung enroute.